About 15 months ago, my wife, daughter and I went to the Israeli civil administration's offices near Hebron to apply for a travel permit to Gaza. My daughter Azhar needed to go there in order to join her fiancée Abdullah Abu Al-Laban in marriage. Like most Gazans, Abdullah couldn't leave the coastal enclave due to the hermetic siege imposed by Israel on the Strip ever since Hamas, the Palestinian Islamic group, won general legislative elections in the occupied territories in 2006. We had no choice but to travel to Gaza for the wedding, otherwise the entire marriage would have to be terminated. We filled so many applications and met so many Palestinian Authority (PA) officials, but without any result. We were surprised to discover that the PA is no more than a message-carrier between the Israeli security establishment and the Palestinian populace. Others would call the PA a mere subcontractor for the Israeli occupation. The description doesn't seem to be an overstatement or an exaggeration. Predictably, we left no stone unturned in an effort to get a permit to reach Gaza but to no avail. We enlisted human rights groups, some rabbis, high-ranking PA officials as well as civic Israeli organizations, even foreign diplomats, in the hope they would convince the Israeli authorities to allow us to travel the 40 kilometer distance from Hebron to Gaza, but to no avail. One Rabbi, who said he was a personal friend of Defense Minister Moshe Yaalon, told me he wouldn't look me in the eye once again if he failed to get Yaalon to grant my family the needed documents to travel to Gaza. Four months have passed since the rabbi made his vow, and I have not heard from him again. We are a peaceful family. None of us has ever been arrested or convicted of any violation or misdemeanor. I am an American-educated journalist, and my wife is an ordinary housewife preoccupied with raising children and trying to make ends meet. Eventually, after waiting more than 15 months, my wife and daughter succeeded in leaving the West Bank via the Allenby border -crossing with Jordan and then traveling to Gaza via Egypt. So my daughter and the man she loved were finally united in marriage. Quite a sigh of relief! Frankly, we felt we scored a little victory over Israel, an entity that constantly devises every conceivable form of pressure and suffering to poison our life and make it as unbearable as possible. Needless to say, Israel's ultimate strategy has always been and continues to be to force, by hook or crook, as many Palestinians as possible to leave Palestine in order to realize the morbid Zionist dream of building a pure Jewish state with no Goyem (a derogatory term for non-Jews) or as few of them as possible. But the little "victory" we have scored is incomplete, to say the least. My wife is now stranded in Gaza, being unable to return home in Hebron via the Erez border-crossing or through the Rafah border crossing with Egypt. Egyptian autocrat Abdul Fattah Sissi has effectively made the semi-permanent closure of the Rafah terminal a fixed policy as part of his bloody showdown with the Muslim Brotherhood, the ideological mother of Hamas. The closure of the border crossing has no real security justification, as the Gaza authorities have no interest whatsoever in alienating the moody military rulers of Cairo who don't hesitate to torment and murder their own people under the false rubric of fighting terror. In fact, the continued closure of the Rafah crossing, the Gaza Strip's only remaining conduit to the outside world, seems solely intended to punish Hamas and the Palestinians for their perceived empathy with the Brotherhood. The forty-kilometer distance between Hebron and Gaza seemed much farther and longer than any other distance as Israel and the equally callous Egyptian regime seem hell-bent on tormenting us and narrowing our horizons. Now, my family has to start the uncertain process of enlisting human rights groups all over again in an effort to get the Israeli authorities to allow my wife to return home. I am really doubtful that the Israelis would forsake their characteristic inhumanity and callousness toward the Palestinians, which really goes beyond the pale. The Israelis routinely invoke the mantra of security to justify many of the illogical cruelties meted out to the Palestinians. But every Israeli official knows deep in his heart that the policy of collective punishment against the Palestinians is intended to punish, torment and harass the Palestinians for clinging to life in their ancestral homeland and for refusing to disappear from the face of the earth. When speaking to the media, Israeli officials always dutifully claim that "we (Palestinians and Israelis) are bound to live together in this land." Do these officials really mean what they say? Or is it just mendacious public relations intended to deceive and mislead? 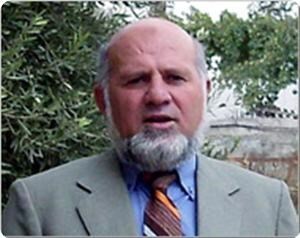 Khalid Amayreh is a Palestinian journalist and current affairs political commentator living in Dura in the southern West Bank. Political bureau head of Hamas, Khaled Mishaal, branded his recent stopover in Saudi Arabia a step on the right path, saying his group is ready to hold ties with any party for the sake of the Palestinian cause. Speaking to the Saudi al-Hayat newspaper, Mishaal said his visit to Saudi Arabia a few days earlier is a step in the right direction. 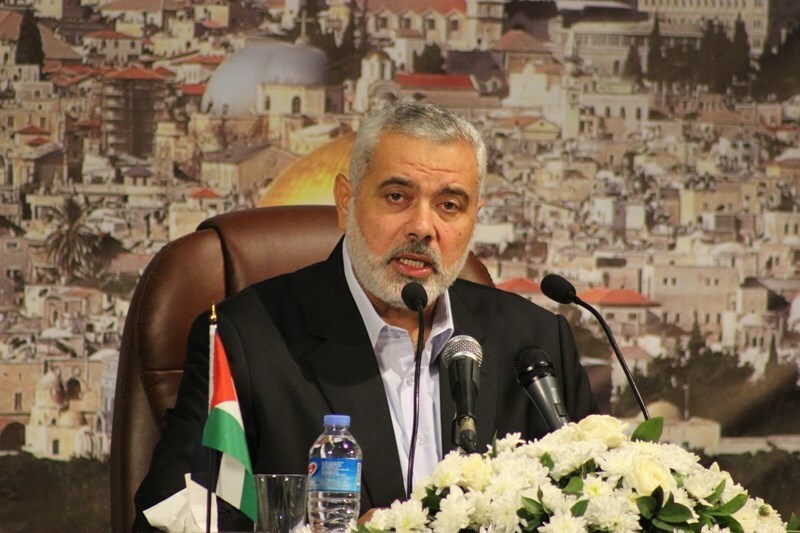 Hamas Chief spoke out against the “hustle and bustle” that accompanied his visit to Saudi Arabia, in reference to the rumors and counterfeit stories recently weaved against Hamas. “Allah, the Almighty, honored me with a visit to Saudi Arabia at the end of holy Ramadan month and I had the chance to perform Umrah (minor pilgrimage) and attend Eid prayers at the Grand Mosque,” he stated. He said the occupied Palestinian territories are the group’s sole battlefield and the Israeli occupation its only enemy. Israeli newspaper Haaretz today reported that the Italian Prime Minister finished his visit in Israel and traveled to Bethlehem to meet with Palestinian President Mahmoud Abbas, during which he stated that Palestinians must accept Israel as a reality and recognize the ‘Jewish State’. Haaretz indicated that Italian PM Matteo Renzi said today during his meeting with Abbas that it was Palestine’s obligation to accept the reality of Israel and to give it full recognition, as, in his words, Israel is an established state for the Jewish people. Renzi said yesterday that he would reject the international boycott on Israel, clarifying during his visit to Tel Aviv university that he rejects the imposition of any sanctions on the state. PA President Mahmoud Abbas received Renzi in the presidential palace in Bethlehem this afternoon. 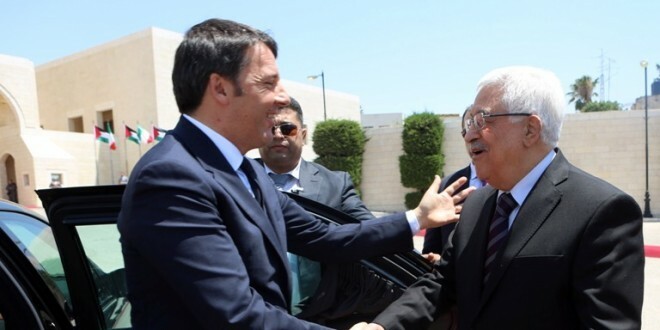 Abbas and Renzi reviewed the Guard of Honour and played the national anthems of both Italy and Palestine. They shook hands with visiting dignitaries and officials, which included the President of the Office of the President Hussein Araj, Political Affairs Adviser to the president Nimer Hammad, Bethlehem governor Jibreen al-Bakri, a number of clergy, the Minister of Tourism Rola Maayah, President of the Bethlehem municipality of Vera Papon,a number of security chiefs, and the head of the General Intelligence Service, Maj. Gen. Majed Faraj. The president and his guest will hold a bilateral meeting to discuss relations between the two countries and the latest developments in the political process. Is Gerry Adams simply being politically correct in wishing for a two-state solution? Liberation movements past and present are sources of inspiration for people whose struggle is still ongoing. 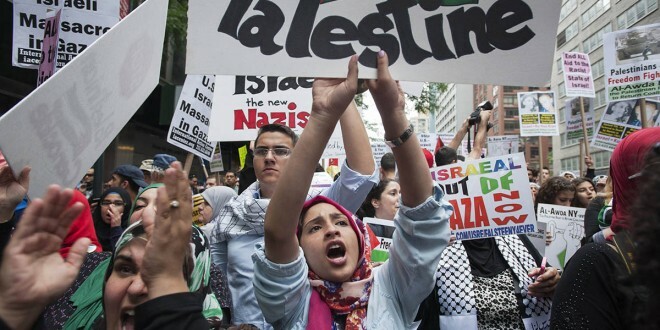 Although the Palestine-Israel conflict is far from resolved, for many decades quite a few other movements have found inspiration in the Palestinian struggle. These same movements, such as the anti-Apartheid movement in South Africa and the Republican quest for independence, self-determination and sovereignty in Northern Ireland never cease to inspire Palestinian freedom fighters. Yet, inspiration is one thing and understanding what the conflict is about is another thing altogether. It seems to me that we Palestinians understand other peoples' conflicts and the objectives of their struggle much better than they do ours. It pains me to hear people who gave their youth and many of their adult years in the struggle for their people's freedom from oppression, tyranny and colonialism express a very simplistic and superficial understanding of what the Palestinian struggle is about. Inevitably, the lack of proper understanding risks falling into contradictions and double standards. In a recent interview with Middle East Monitor (MEMO), Sinn Fein leader Gerry Adams shed light on some aspects of the Irish Republican struggle, which was insightful and inspiring. Yet, when it comes to Palestine, there seemed to be little understanding of what our people have been struggling for. Adams wishes to see a Palestinian state within the 1967 borders sitting next to an Israel that enjoys security and peace. I prefer to believe this to be nothing but a politically correct stance dictated by his current political position, because I find it hard to accept that someone like him lacks any knowledge or understanding of how Israel came into being. Although he acknowledges that Palestinian refugees have the right to return to their villages, how does this square with the fact that most if not all such refugees were dispossessed in 1948 when Israel was created on their lands and in their homes, and not in 1967 when Israel expanded into the rest of Palestine (the West Bank and Gaza Strip), where he thinks a Palestinian state should be created? While comparisons are made between what Israel is doing to the Palestinians and what the defunct Apartheid regime did to the people of South Africa, there is a failure to recognise that in both cases it was an irreconcilable ideology that prompted the behaviour of the racist regimes in both countries. In the case of South Africa it was called Apartheid and in the case of Israel it is called Zionism. Both Apartheid and Zionism claim a God-given right to dispossess and oppress the indigenous population. I am truly puzzled by the failure of some of those who sympathise with the plight of the Palestinians to realise, or perhaps to have the courage to acknowledge publicly, that our real problem in Palestine is with Zionism and not with the fact that we do not have a state of our own. My mother, who was removed from her house in Beersheba in 1948, and my father, who was denied the right to return to his home in Hebron after 1967, were not subjects of some Palestinian state but were human beings whose ancestors lived in the land for centuries until Europe decided to resolve its "Jewish problem" at their expense. To be fair to Gerry Adams and some of his comrades, the Palestine Liberation Organisation (PLO) is to blame for such confusion about where we Palestinians stand on the conflict. Yasser Arafat and his fellow PLO freedom-fighters-turned-peace-negotiators legitimised Zionism and the dispossession of the Palestinian people when they agreed to recognise Israel's right to exist in exchange for recognition by Israel and its Western allies of the PLO as the sole legitimate representative of the Palestinian people. I recently attended a seminar organised by EuroPal Forum at the European Parliament in Brussels with the title, "The Politics of Reconstruction: Gaza, the EU and Palestinian Governance". One of the main speakers at the seminar was Gerry Adams's Sinn Fein colleague Martina Anderson MEP, Chair of the European Parliament's delegation to Palestine. I do not for a minute doubt the sincerity of Ms Anderson or wish to belittle the role she plays in seeking to bring the plight of the Palestinian people to the attention of European parliamentarians. However, I had a problem with something she kept insisting on during her presentation. 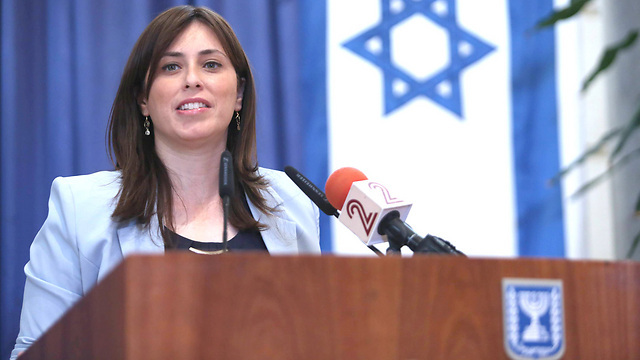 Throughout, she seemed to blame certain Palestinian failures on the internal division and the inter-factional dispute, primarily between Hamas and Fatah. As someone who cares for Palestine and the Palestinians she kept urging unity, but unity built on what foundation: the belief that Palestine, the whole of it, is occupied illegally by Zionists who invaded it and dispossessed its people from the early years of the 20th Century; or the belief that all the Palestinian people want is a state of their own on the land into which Israel expanded its occupation in 1967? It amazes me how a Sinn Fein or an IRA activist finds it plausible to accept a settlement that recognises the legitimacy of theft and murder. How can anyone who still believes the Irish people should never be expected to abandon their dream of a united Ireland expect the Palestinians to abandon their right to their homes and lands in what is today the state of Israel? I sincerely hope that our comrades in both Northern Ireland and in South Africa, as well as those in other parts of the world, such as in Latin America, Africa and Asia were they still struggle against imperialism, will not forget or neglect the real causes of the conflict in Palestine. The root of the problem is neither a territorial nor a communal dispute; nor is it even a religious conflict between Muslims and Jews; it is a colonial, racist project not much different from the projects that they themselves have fought against for decades. This article was written in response to MEMO's exclusive interview with Gerry Adams. The Islamic Resistance Movement, Hamas, on Sunday denied claims, propagated by the Fars news agency, on the group’s involvement in Operation Storm of Resolve in Yemen following a deal with Saudi Arabia. 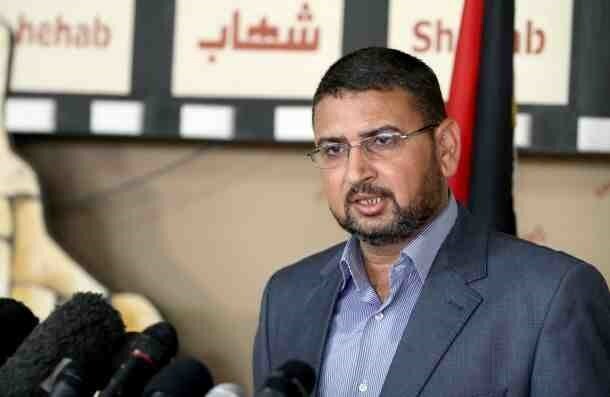 Hamas spokesperson Sami Abu Zuhri said in a written statement that such claims are mere lies, stressing that neither Hamas nor the Saudi leadership ever thought of dragging the group into Yemeni affairs. “Such rumors make part of intents to mar Hamas’s promising stopover in Saudi Arabia and stir up incitement against the group,” Abu Zuhri added. On Sunday morning, at least six vehicles owned by local leaders in Hamas, as well as activists in the Islamic Jihad, were bombed and burned out in the Sheikh Radwan neighborhood in Gaza City. Local sources said, according to the PNN, that Salafist activists, affiliated with the Islamic State (ISIS), are responsible for the bombings. A number of analysts from the international community have long suspected that the Islamic State is backed by both Israel and the US, in an attempt to destabilize key portions of the Arab world, upon which authorities are then able to deploy troops to police a given region, under the guise of "humanitarian aid". The interior ministry in Gaza opened an investigation into the explosions that targeted six resistance vehicles in northern Gaza City on Sunday. The spokesman of the ministry Iyad al-Bezem said, in a terse statement, that saboteurs blew up six cars belonging to resistance factions and caused great damage. No casualties, however, have been reported. He stressed that the security forces are tracking down those saboteurs, saying that “they will be held accountable”. Several explosions occurred on Sunday morning in Sheikh Radwan neighborhood in northwest Gaza city. Four vehicles belonging to members of Hamas and two to Islamic Jihad affiliates were destroyed in the incident. Al-Qassam Brigades, the armed wing of Hamas, and Saraya al-Quds, the armed wing of Islamic Jihad, vowed to chase down and capture the vandals who carried out the explosions in Gaza on Sunday morning. In a joint statement, both armed wings confirmed their continuation to protect the Palestinian people and resisting the Israeli occupation. The statement said that “such criminal acts will not stop us from doing our duty". The statement added that such acts only serve the Israeli occupation. Unidentified persons blew up six cars belonging to Hamas and Islamic Jihad and caused great damage on Sunday morning. Four vehicles belonged to members of Hamas and two to Islamic Jihad affiliates. No casualties have been reported. 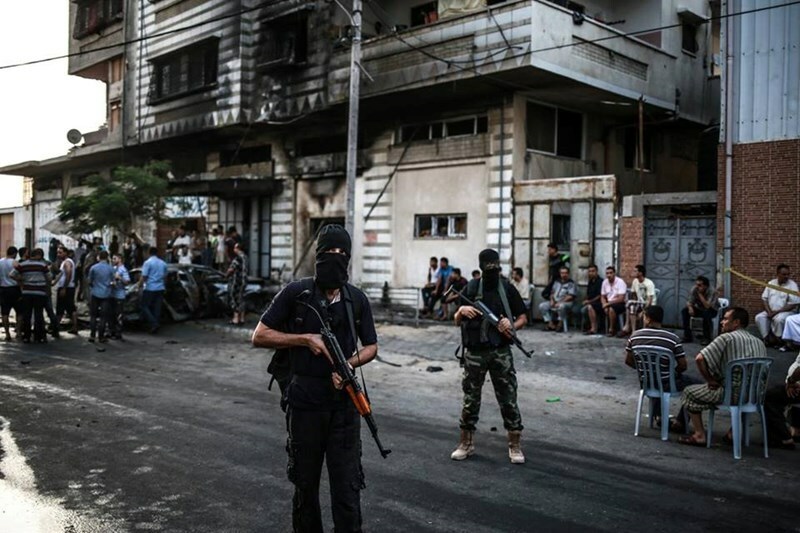 Unidentified men blew up a number of cars belonging to members of Hamas and the Islamic Jihad in Gaza City through improvised explosive devices, according to eyewitnesses. 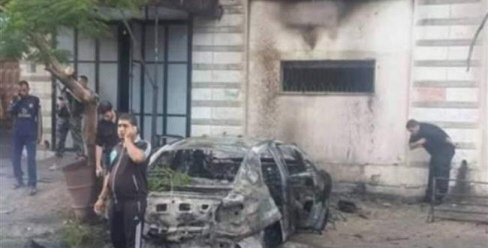 Eyewitnesses in Gaza City said the attackers detonated three cars belonging to the Qassam Brigades, Hamas' military wing, and two cars belonging to Al-Quds Brigades, the military wing of the Islamic Jihad. The cars were located near to their owners' houses and did not lead to any casualties. 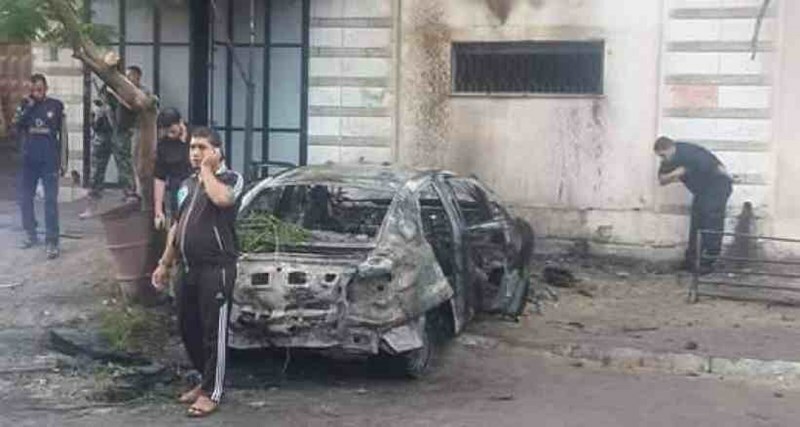 They added that the explosions took place at the same time in the Sheikh Radwan neighbourhood, northern Gaza City, and that the cars all caught fire. The eyewitnesses said that one of the houses near one of the targeted cars caught fire. The Ministry of Health did not announce any casualties following the explosions. Security forces and rescue teams rushed to the scene and began to investigate the incident. The Palestinian Ministry of Interior announced that they were in pursuit of the perpetrators. "Security services have begun an investigation into the incident and we are working to track down the perpetrators of the explosions," Interior Ministry spokesman Iyad al-Bazm said in a press release. "We affirm that the criminals will not escape with their crimes." The press release did not point the finger of blame in any direction, but previous similar incidents have been blamed on extremist groups who have announced their allegiance to ISIS, which has tense relations with Hamas, which still controls the Gaza Strip. Security services from the Interior Ministry have launched a campaign of arrests among the ranks of ISIS-aligned groups, saying that they are "outside the law" and work to create "instability" in the Gaza Strip and hold takfiri views. A ISIS video released on June 30, 2015, threatened Hamas and pledged to bring down its government in Gaza. 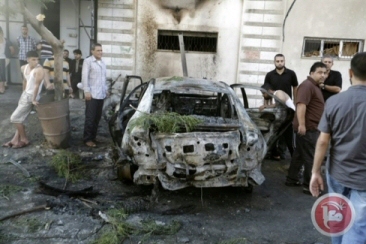 Five cars belonging to Hamas and Islamic Jihad cadres were blown up at dawn Sunday in Gaza city. According to local sources, unidentified assailants blew up five cars parked near family homes of Hamas and Islamic Jihad activists. There was no immediate confirmation of any casualties. The car bombs went off in the Sheikh Radwan neighborhood of Gaza City around 6 a.m. Three vehicles belonged to members of Hamas and two to Islamic Jihad affiliates. A nearby house reportedly burst into flames as a result of the blasts. Security officials and rescue crews rushed to the scene and immediately began investigation into the attack. 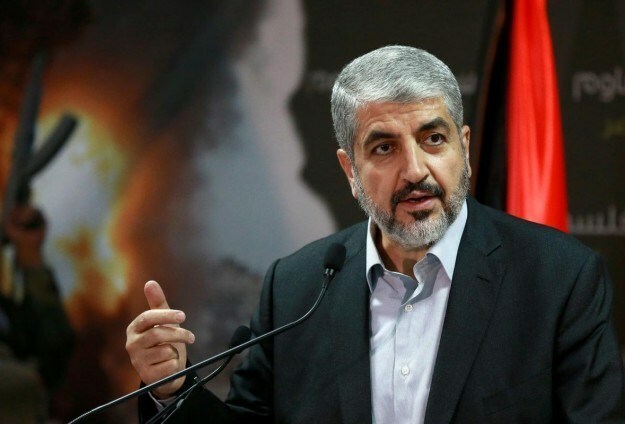 Haneyya: Mishaal's visit to Saudi Arabi "successful"
Deputy head of Hamas's political bureau Ismail Haneyya has expressed his confidence that the recent visit of a delegation from his Movement to Saudi Arabia would be a promising start to rebuild the relations between the two sides. Haneyya made his remarks during his visit on Saturday morning to the families of Palestinian martyrs from al-Qassam Brigades of Hamas in Rafah area to congratulate them on Eid al-Fitr occasion. The Hamas official also expressed his satisfaction with the results of this visit, describing it as "successful and fruitful." He hailed the Saudi leadership for its positions in support of the Palestinian cause and the efforts it intends to make to end the humanitarian suffering in the Gaza Strip. 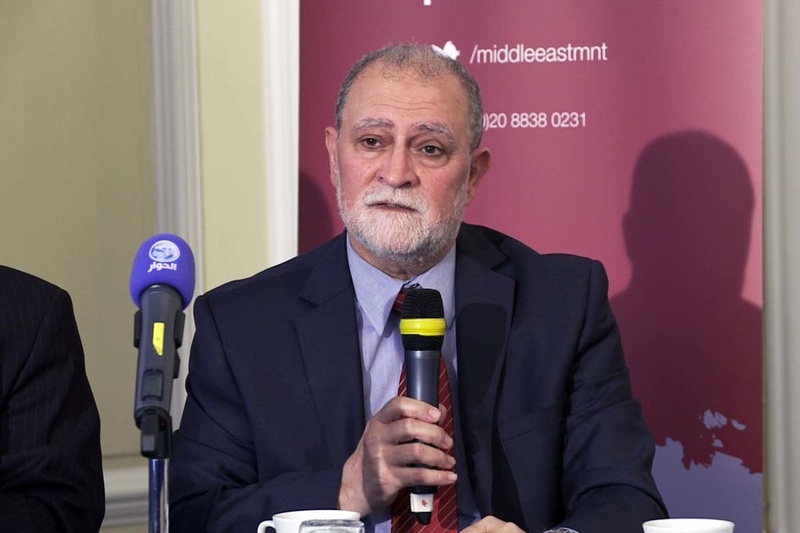 He highlighted that "Hamas is a Palestinian liberation movement belonging to the Islamic and Arab worlds and defend the legacy of the whole Muslim and Arab nations, so it needs every support from them."